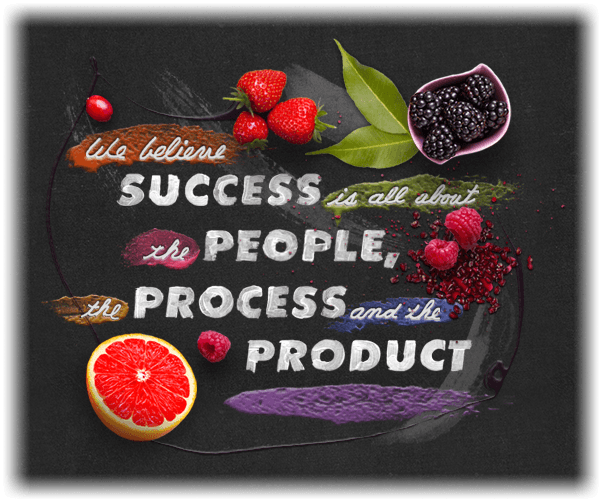 The freshest fruits and vegetables make the best products. GMO = Get Me Out! Strawberry should taste like Strawberry and Mango should taste like Mango. 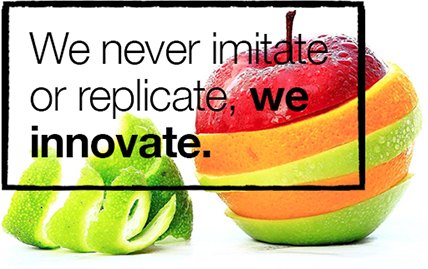 That’s why we craft our products to taste as close as possible to fresh fruit. Fruits are naturally good for you, thats why our products have been formulated to boost the fruits’ natural benefits. Whether it’s vitamins, minerals, electrolytes, oat fiber, antioxidants or omega oils – we love them all. Versatility = Profitability. Creating smoothies, refreshing juices, cocktails, ice cream or flavoring all with one smart product saves. It shouldn’t cost business owners an arm and a leg to be able to offer their customers all natural, 100% juice, finished-products. Shelf-stable always makes you more able! it’s saves costly refrigerated transportation and fridge space. We aim to surpass our clients’ expectations with an exceptional level of service, education, and support. Our customer services team is always available to answer questions, provide support, or educate about our products. Whether we’re dealing with a large chain store or a small “ma and pa shop”, we make sure our products are utilized correctly and adjusted to perfectly fit your business. After all, (and though it sounds a little corny) your success is our success too. We minimize our waste and carbon footprint by using recyclable materials and composting. Our bottles are made from PETE 1 which is the most recyclable plastic around, and is vital to preserving the shelf life and taste of our juice products.